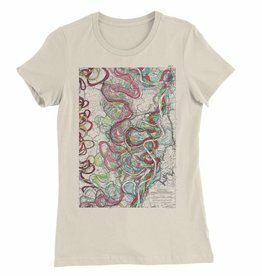 "Mississippi River Print #15" women's tee. 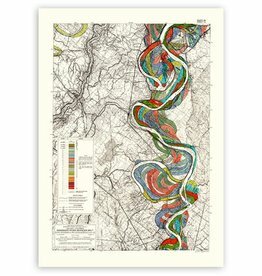 In 1944, Harold Fisk (1908–1964) published a geological investigation of the lower Mississippi Valley at the request of the Mississippi River Commission. 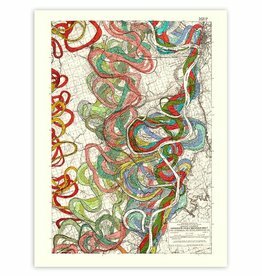 Included in his exhaustive account was a series of maps that illustrated the many historical courses the river has traveled on its way from Missouri to the Gulf of Mexico. 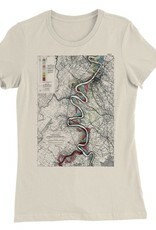 This map is the southern most in Fisk’s series. 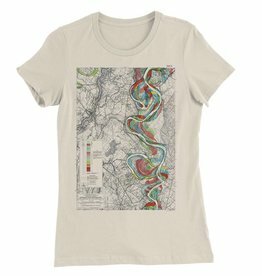 The map documents the river as it travels from West and East Baton Rouge parishes through Ascension and Assumption parishes. 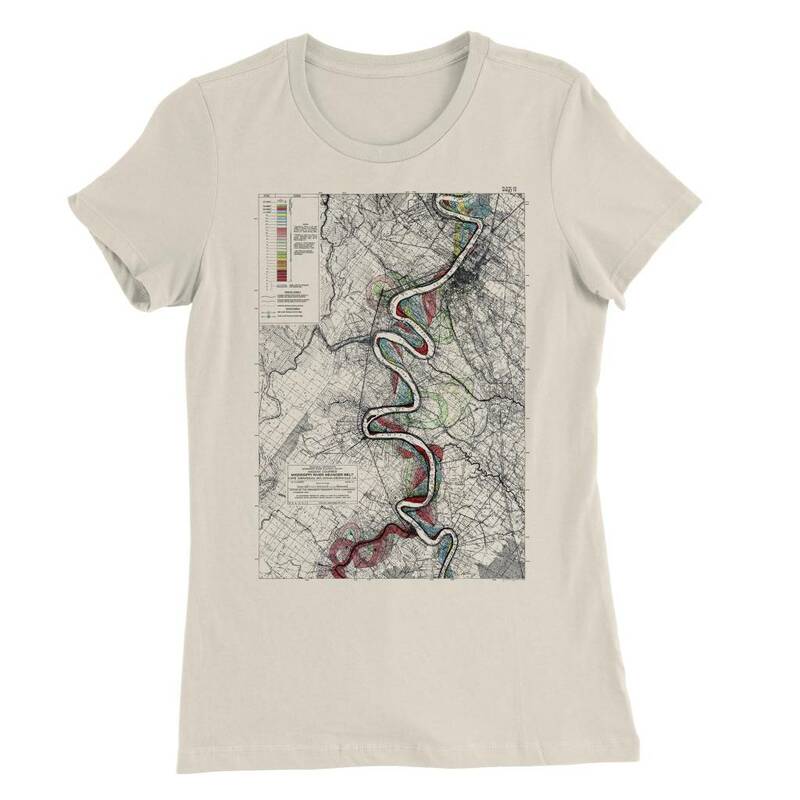 Points of interest include the city of Baton Rouge, Gonzales and an abundance of historic plantations of south Louisiana.